Student loan debt is out of control. How out of control? According to a recent article from Good Magazine, it now rests at $1.1 trillion, and there’s little chance of it shrinking or staying the same. (Grim implication.) Perhaps more disturbing, however, is the amount that is past due or unpaid — 11.3 percent, or $113 billion. 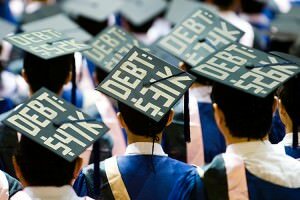 “Student loan debt is second only to household debt in America today—mortgage debt stands at $8.17 trillion—and is said by Forbes to be crippling the economy as a whole,” writes Demetria Irwin. 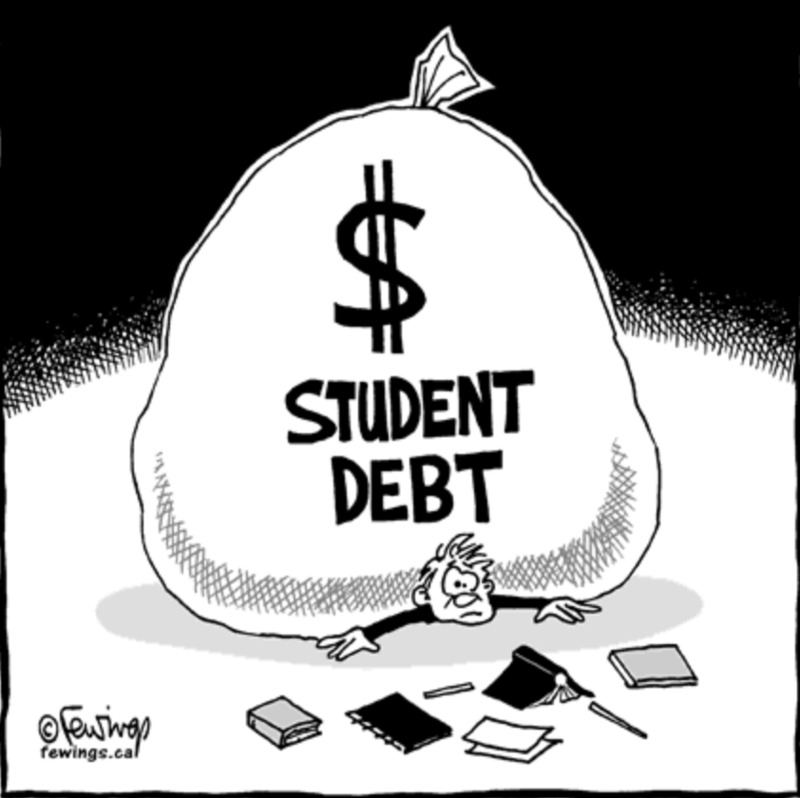 So what can you do to extricate yourself from student loan debt and be on your way to a healthier financial future? 1. Start with community college. The first two years at any school are the same in terms of academic content and weight. There is no reason to pay Yale fees when they’re giving you the same experience in those first two years that a local community college that costs a fraction of the price would. This also allows you to observe the fields that appeal to you without the pressure of having to pick a major right away. 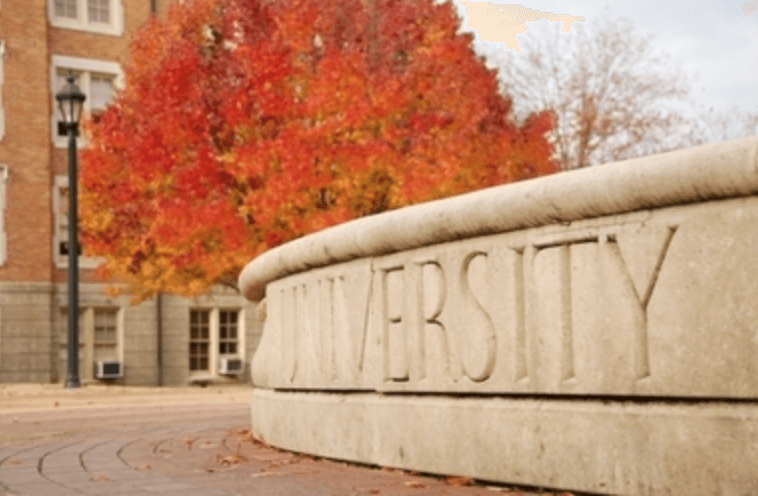 And best of all, it’s a heck of a lot easier to pay as you go with a community college than it is a state university or prestigious Ivy League school. 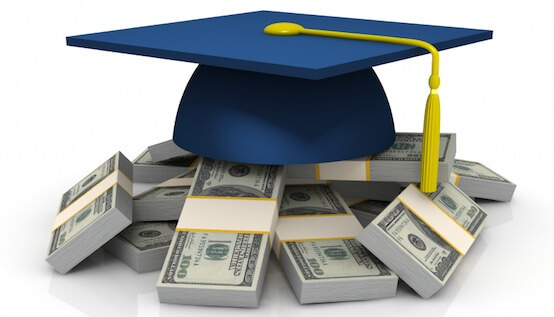 Starting the last two years of your undergraduate degree plan debt-free (or almost) is an attractive proposition. 2. On your undergraduate degree, a cheaper 4-year state school will do. Prestige really doesn’t start to matter as much until you get into master’s and Ph.D programs. For now, you want to show that you have a solid understanding of a major, and your basic accredited four-year university can provide that. 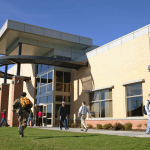 And since you’ve been to the community college for the first two years, it’s possible that you could get out with an undergraduate degree owing very little especially if you’ve taken advantage of scholarships and Pell grants along the way. 3. Focus on getting good grades while you can. Scholarships are ripe for the taking when you’re in high school, so tell the wacky kid sitting beside you to sit down and shut the bleep up. (And say “bleep,” it doesn’t get you in as much trouble.) By focusing on your grades early and doing the very best that you can, you’ll be in the position to command some of the best scholarships around. Also, utilize applications that are designed to find additional scholarships across the country. Scholly is an amazing tool for just such a search. 4. Get involved with a profession while you’re still in school. Even if it’s running and getting coffee for someone you trust and admire in a profession that you want a piece of, get involved! By simply being a background part of things while you’re in school, you can shore up great connections for when you’re out. 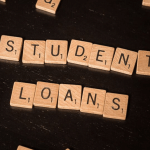 One of the most troublesome issues that university students today face, is that the loans start a few months after graduation, and far too often, it takes much longer than that to get someone interested in hiring you. 5. Take some time off before pursuing your degree beyond the undergraduate level. Once you’ve secured your bachelor’s degree, things start to get serious. 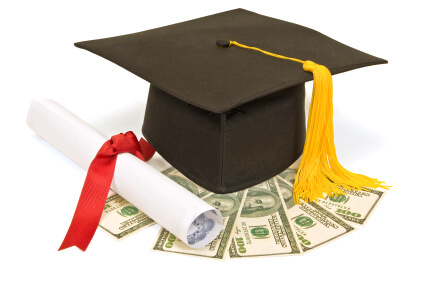 Will you rack up a considerable amount more debt to go get a master’s or Ph.D from a dream college? Will you enter the workforce? These are tough decisions, because whatever you decide, it will impact your life significantly for many years to come, and if it’s the wrong choice, it could set you back years in finding what it really is that you want to do. I’m a big believer in taking a gap year. If you have the ability, travel the world. If you can’t travel the world, then try to pursue some fun and interesting pursuits closer to home. Act like you can have any job that you want and decide what that job will be; then go place yourself around it for a while. Even if what you come up with is “Indiana Jones-style adventurer,” it’s worth the effort to take a taste of life and see what your possibilities are. You can’t do that when you’re glued to the classroom. 6. Don’t forget about technical skills. The employment sector values skills and reliability more than ever before. At one time, it was possible to lose out on a job for which you were more experienced because the “other guy” had more education. 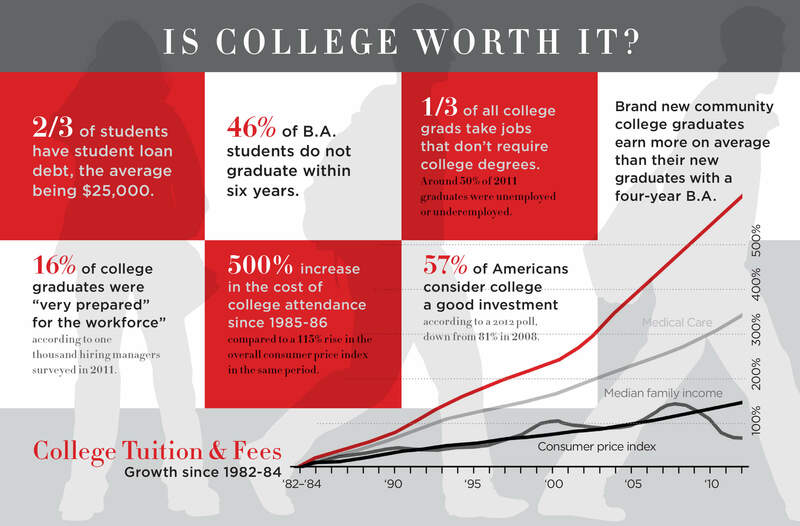 Luckily, good companies have started to get over that degree obsession they used to have. Today they want to know that you can do the job, get results, and be counted on when they need you. If you can demonstrate a great work ethic, that will go further than anything else. That’s not to say that education isn’t necessary — just that it takes more than that to be successful, and employers know it. One of the best trades you can look in to is programming because it incorporates technology in an effort to make others’ lives easier, and since the vast majority of business owners don’t understand it, you’re in a position to capitalize. 7. 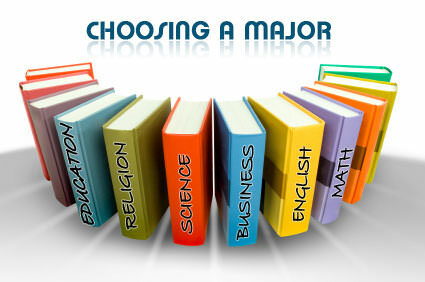 Do a career analysis before ever choosing a major. It’s nice to think that you can do “anything you want” in life, but the cold reality is that some jobs just don’t pay enough to be worth the time. Money is still important when selecting a career field, and while it’s not the MOST important thing, it’s right up there in the top three. (The ability to find passion in your work, whatever it is, and the ability to actually do the work, would be numbers one and three with Money sandwiched right there in between.) Before you get going, make a list of all the jobs that interest you and research what they’re paying. The Bureau of Labor Statistics keeps great data on what jobs people are doing and what they get paid to do them. Check out their website here. What are you doing to fight student loan debt before it balloons into a problem? Sound off in the comments section.